October of every year is designated as Archives Month, and archives around the country try to do something special in recognition of Archives Month. Today and tomorrow, for example, the National Archives is continuing its Virtual Genealogy Affair with talks by archivists and other experts on a wide variety of topics. And yesterday the Pennsylvania State Archives hosted its annual Archives and Records Management in Harrisburg, with presentations ranging from cloud storage to data breaches to copyright issues. If a volunteer contributes articles or photographs to the newsletter or journal or website of a small archives — a genealogical society or an historical society, for example — who owns the copyright? And the answer always seems to take the societies by surprise. It’s the volunteer who owns the copyright. So how can a society make sure it can use what its volunteers contribute well into the future, no matter how the technology changes, without running into problems? By the way, the answer does not change if the authors are paid for their articles or photographs. 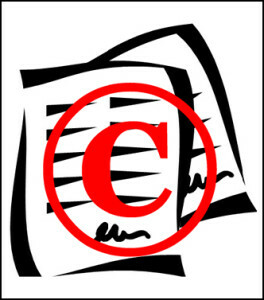 The law still automatically gives the copyright to the author unless there is a written agreement to transfer the copyright to the publisher or that the work is intended to be a work for hire. Thanks for this helpful article. Very relevant to blogs which are a team effort! Excellent timing, thank you. I’ve shared this with my colleagues as we were just talking about reviving our blog with guest posts from volunteers and student interns.